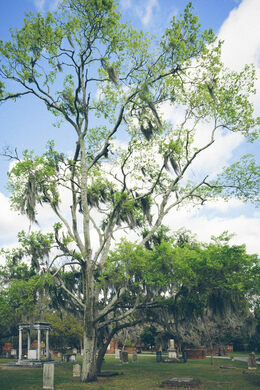 One of Savannah's oldest and most haunted cemeteries, featuring graves desecrated by Sherman's Union Army. 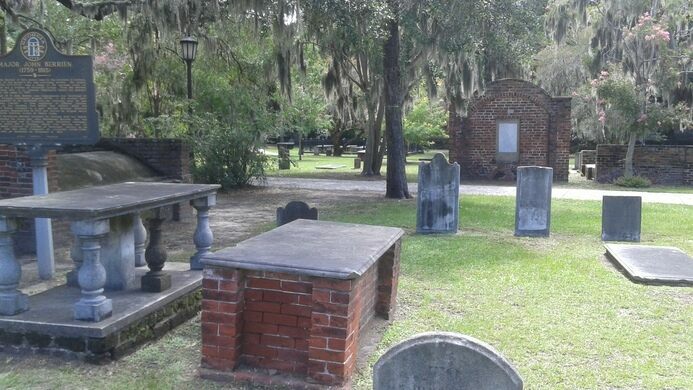 The Colonial Park cemetery in Savannah has a rich and macabre history. This quirky curiosity shop takes its cues from the world's bazaars. Two flush headstones mark the only known graves to be embedded in an airport runway. 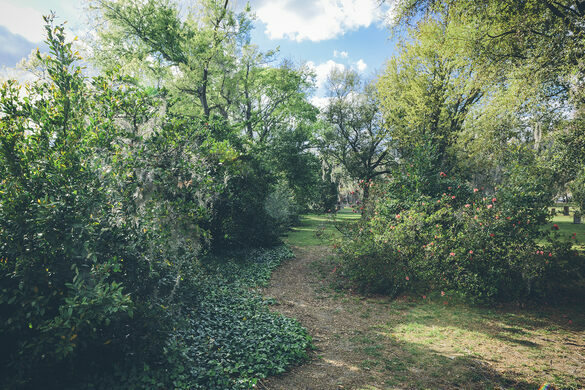 Built in 1750, the cemetery contains many of Savannah’s earliest settlers, including 700 victims of the great yellow fever epidemic of 1820, all of whom were interred in a mass grave. It is said that the actual number of Savannahians who fell to the plague numbered 666, but the total was rounded up to curtail any mention of the beast. 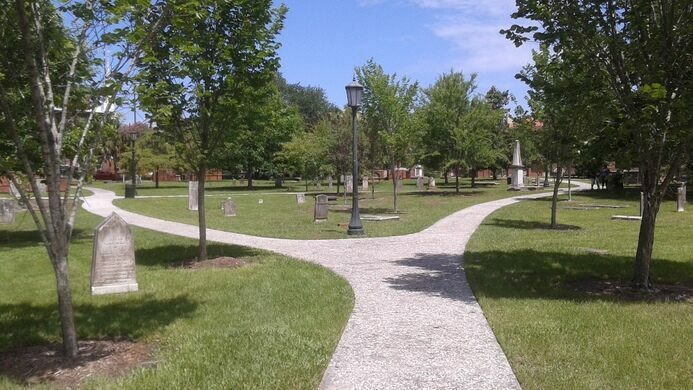 The cemetery also served as the cities dueling grounds from 1740 until 1877. Savannah was spared from the total destruction of Sherman’s March to the Sea during the Civil War, when The city was surrendered without incident as the Rebel Army retreated across the Savannah River into South Carolina. Later, Sherman presented the city to Abraham Lincoln as a Christmas gift in 1864. 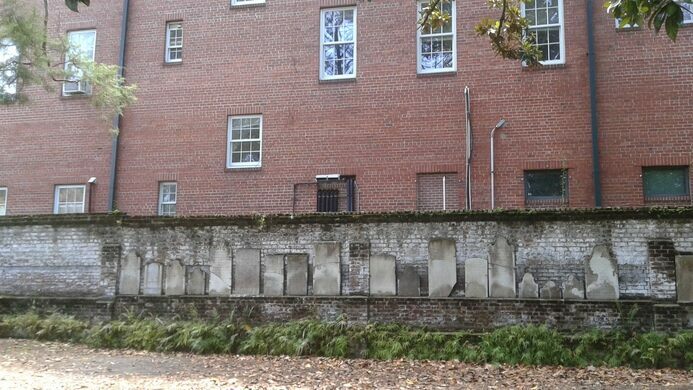 But the occupying Union soldiers are reputed to have left their mark in Savannah in a unique and unusual way - by subtly altering the gravestones in the Colonial cemetery. Along the east wall of the cemetery lie dozens of gravestones which, according to local legend, the soldiers dug up and displaced. They changed the dates of many on the headstones with their bayonets; one man living to the ripe old age of 421, his neighbor living 544 years, and another man’s son was born 1000 years before his father. 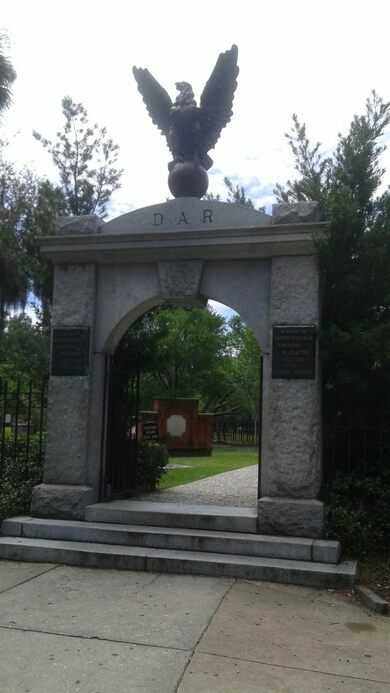 The reality is that many graves were exhumed and moved during Savannah’s many yellow fever and malaria epidemics when deaths exceeded the available space in the ‘Old Burying Ground’. Unfortunately, the cemetery has been the target of vandals for centuries and local tour guides love to blame ‘General Sherman’s Bummers’. One of the most historic and haunted places in one of America’s most beguiling cities. Just east of Chippewa Square. The headstone are hung on a brick wall on the South-eastern corner of the cemetery, close to E. Perry Ln. The Dead Of Night guided tour starts at 11 p.m. and is really not for kiddos. Tons of the local ghost tour operators say this is the place where most people report feeling a ghost! The first public building in Savannah to offer air conditioning was a luxurious cinema that still operates today. Local myth claims this is a Sears catalogue home with its windows installed upside-down. This bar hosts an ever-evolving napkin art installation devoted to an American president. Myanmar's beautiful cemetery for Allied soldiers who perished during World War II.